One great way to memorialize your thrill seeking moments at the Walt Disney World Resort is to purchase one of the Ride Photos conveniently taken at some of the most thrilling attractions. In this edition we look at the Top 6 Disney World Ride Photo Attractions to help you choose the best one to remember your daredevil exploits. 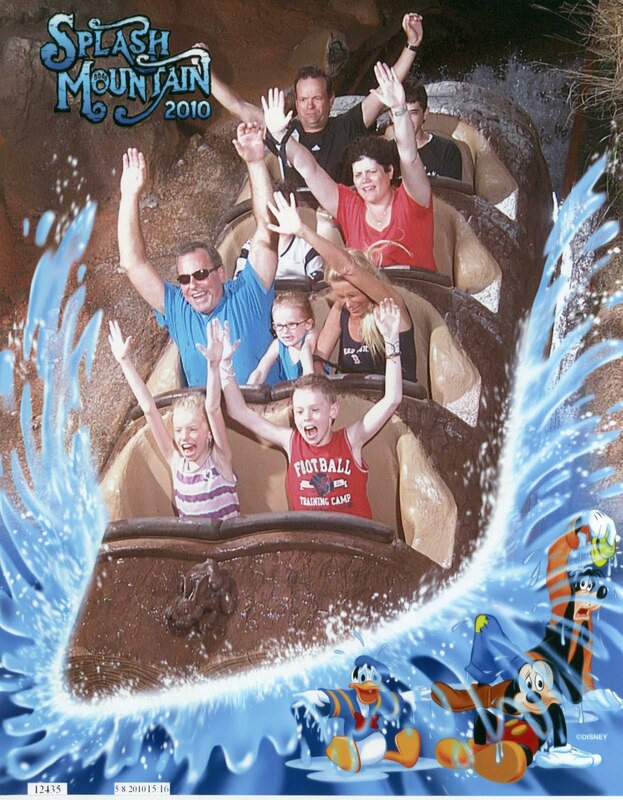 The Ride Photo is an under appreciated souvenir that has been around long before the PhotoPass Photographers lined the Disney World Theme Parks. At a special hidden location, during the height of excitement, you will notice a flash of light as your picture has just been taken. Whether or not you purchase it is up to you. Here are your Top 6 Choices for getting that special souvenir. Test Track takes your picture just as you are about to "crash" into a barrier that blocks your way from getting to the outdoor Test Track. 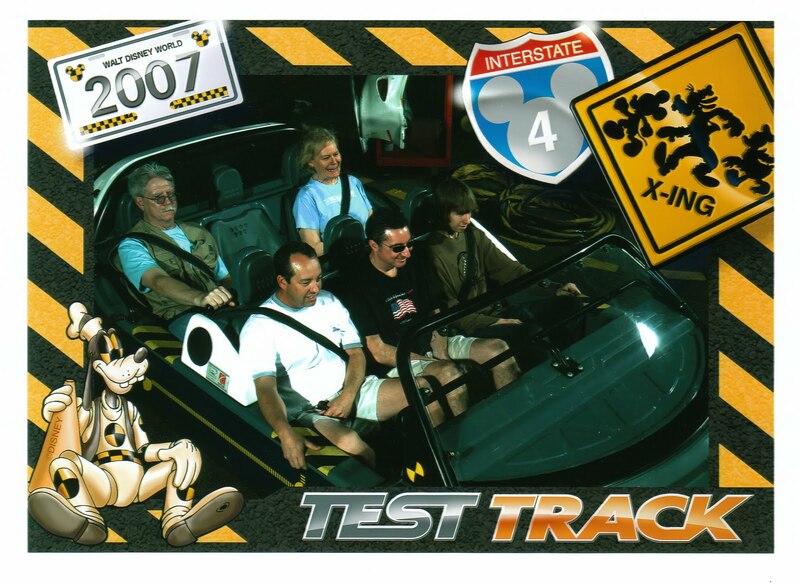 Once the ride continues on outside you reach speeds of 65 mph in Epcot's and Disney World's fastest attraction. 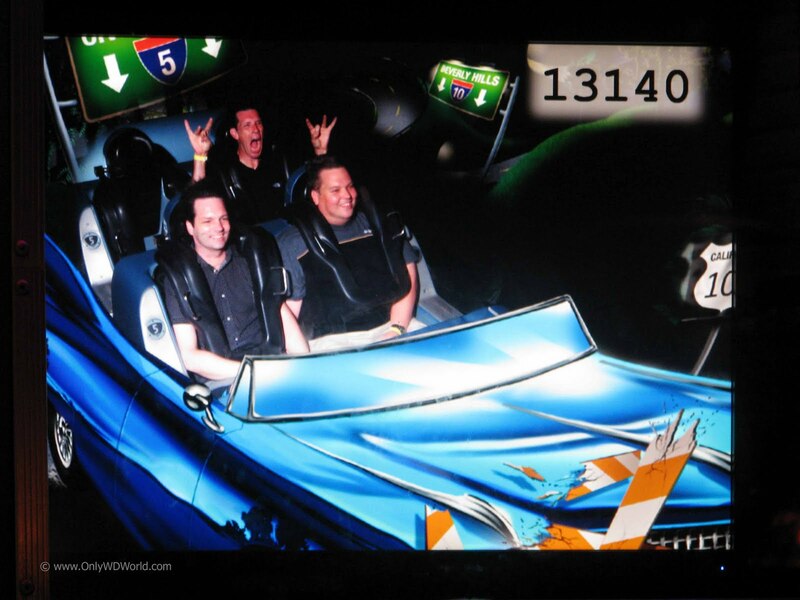 As you can tell this group that is pictured is very excited to be riding Test Track. One of the nice features is that the cars hold 3 people in each row and 2 rows for each car. If you have a family of either 3 or better yet 6 people this may be the perfect "vehicle" to capture your picture. Nothing says thrilling better than an elevator that falls faster than gravity with a randomized drop sequence. 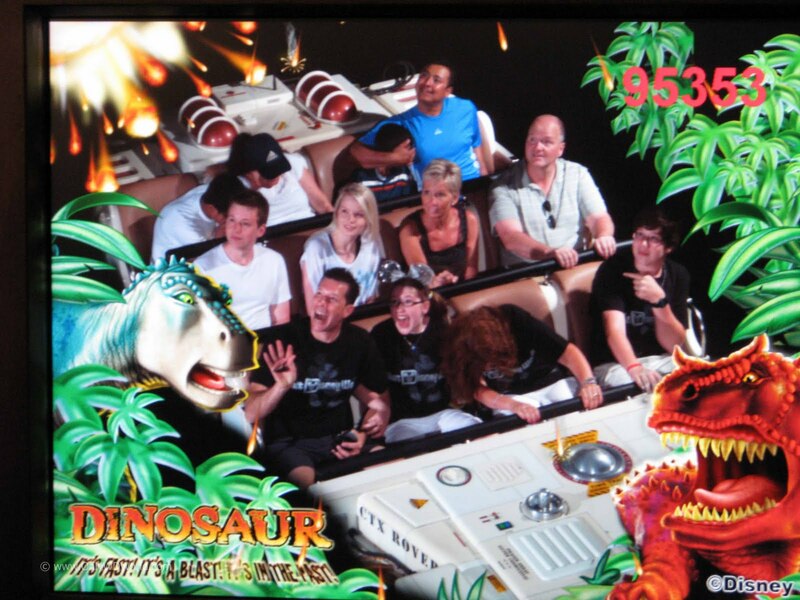 No problem getting everyone to look excited in these pictures at Disney's Hollywood Studios. The only drawback is that there are so many people that get included in each picture. If you have a large group or if your family is featured in the front row, this would make a nice picture to prove you made it to the Twilight Zone and back. A family favorite in the Magic Kingdom, Splash Mountain snaps this picture just as you are about to make the 50 foot plunge down the big hill. Make sure that you are seated in the front of the "log" if you think you may want to buy a picture. If you ask a Cast Member nicely, they can make sure you ride in front. 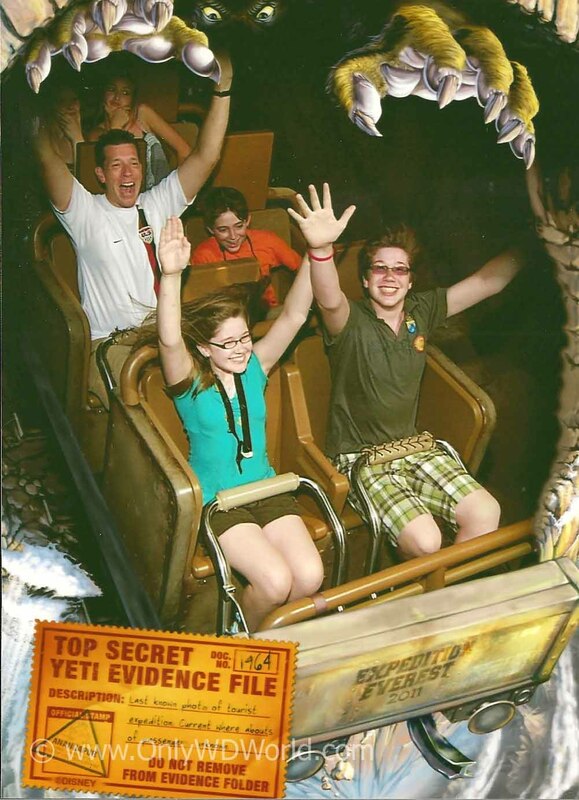 Also remember to hold your hands up high to show that you have no fear! Dinosaur, found in Disney's Animal Kingdom, snaps this photo just as your are attacked by a large Carnotaurus. If you check out the first photo in this article and then look at the picture above. These are two pictures of my family taken about two years apart with the same effect. 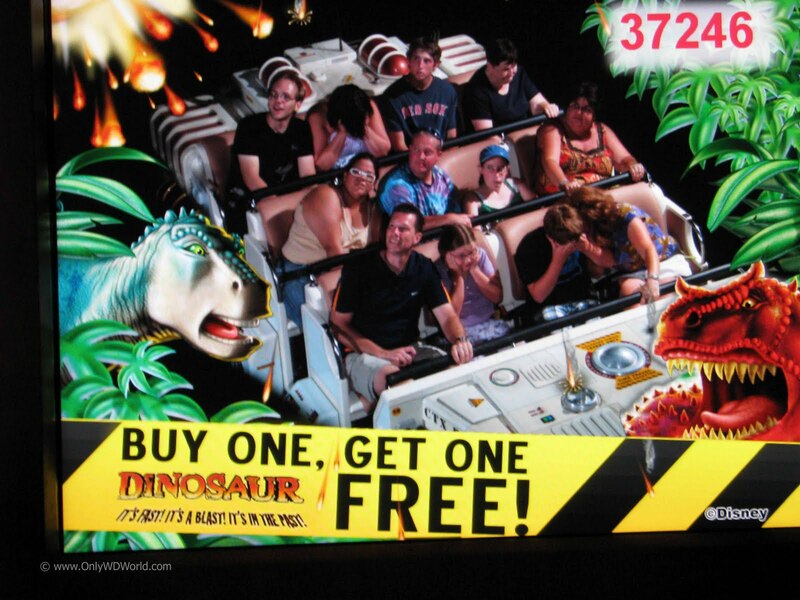 Dinosaur is a great ride photo, as you will get some great expressions on people's faces as they either love the ride or are terrified by it. Again make sure you are in front in you are thinking about buying a picture. Expedition Everest is another favorite at Disney's Animal Kingdom, as this picture is taken just as you start down the steep decent that takes you outside and can be viewed from the area outside the Serka Zong Bazaar. 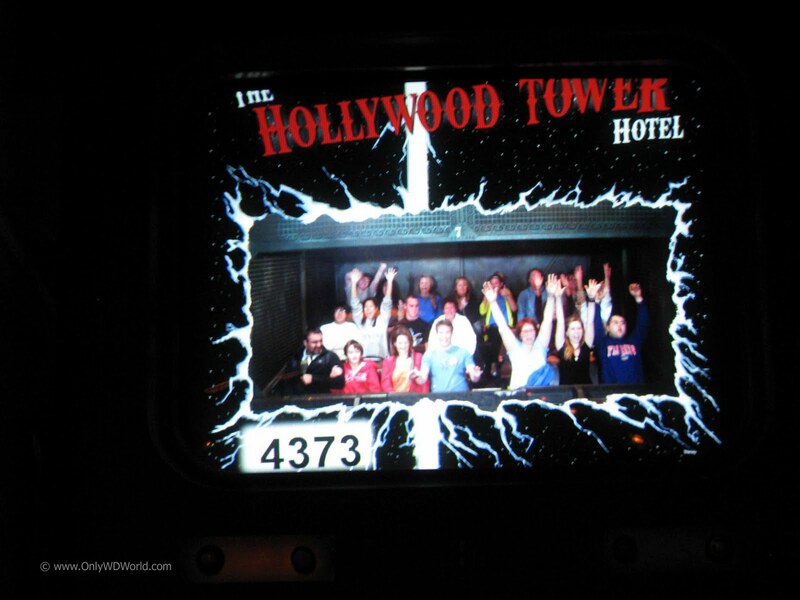 This ride puts 6 people in each train, but the first two rows are the most visible. This is better than the previous attractions in that if you are sitting in the front of the car, the other people are less noticeable. The Top Disney World Ride Photo Attraction goes to the Rock 'N' Roller Coaster Starring Aerosmith found in Disney's Hollywood Studios. This is the best photo to feature your group of 2 up to 4 people. The picture is taken right at the beginning of the attraction just as your launch begins as you enter the initial dark area. This allows you to pose however you choose in order to make the picture memorable. This also means to have to watch out that the guy in the seat behind you didn't get a little carried away with his best "Rock Star" pose and ruin your picture. 0 comments to "Disney World Top 6 Ride Photo Attractions"